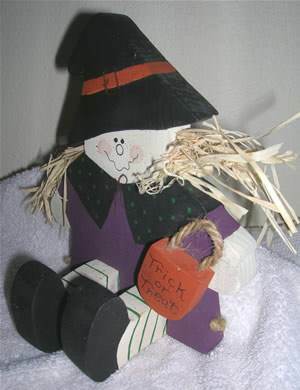 Create cute or scary decorations for your home and yard with free Halloween wood crafts. Use exterior plywood for outdoor decorations and paint with acrylic paint or spray enamel for a colorful and eye catching display. 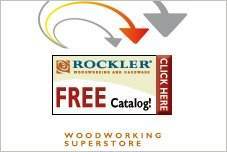 Fill your home with fun-to-build, inexpensive wall plaques, figurines and illuminated candle holders. 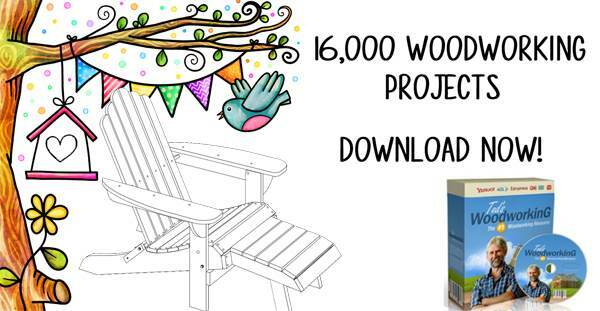 Many of these are great projects for the kids. The grown-ups can do the cutting while the little ones sand and paint. Pumpkins, ghosts and black cat silhouettes are quick and fun for the whole family. Build a life size coffin for the neighborhood Dracula, or use a picnic table to build a bigger-than-life Frankenstein monster. Use free Halloween wood crafts and your scroll saw to create a pumpkin and black cat puzzle for little ones. Sand the pieces to soften rough edges and paint with bright, non-toxic paint. 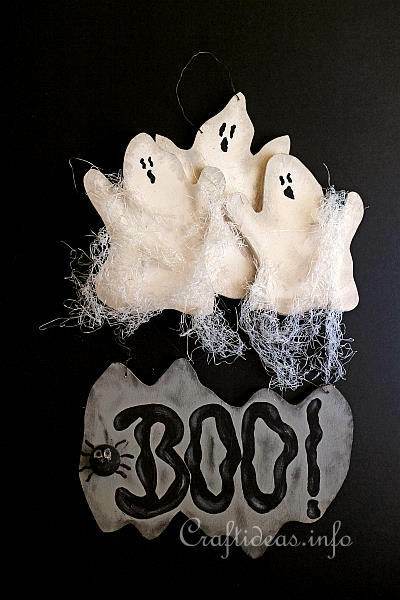 Scrap wood blocks are covered in decorative paper with the word "boo" applied for a whimsical Halloween centerpiece. 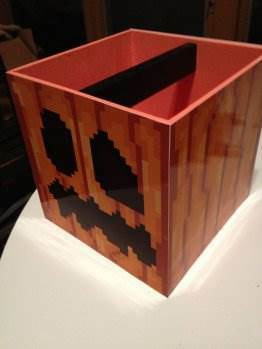 A little orange and brown paint plus a single 2 x 4 come together to create this cool looking pumpkin for indoors or outdoors. 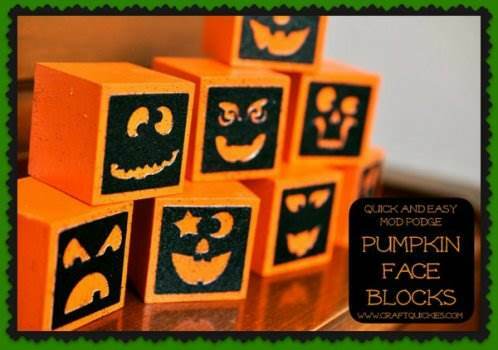 Paint wooden blocks with orange paint then use mod-podge to attach different pumpkin faces. 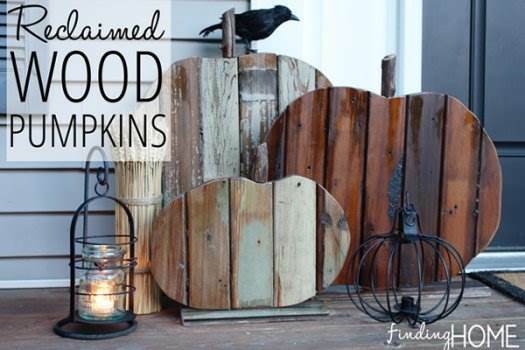 This plan will show you how to easily turn salvaged wood into decorative pumpkins to place on your front porch or entry. 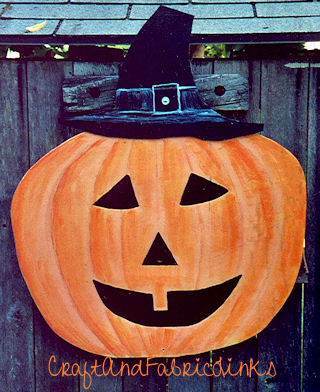 Build a wooden pail with handle and a silly face for kids to collect candy in when trick-or-treating. 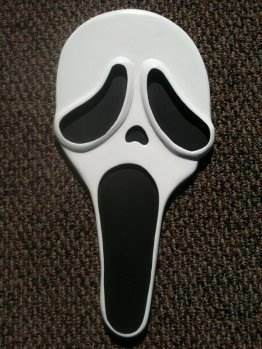 With a piece of plywood and a scroll saw you can make this cool ghost face to hang on the door this Halloween. 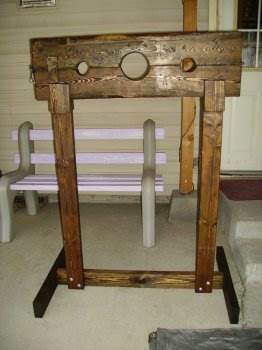 Using scrap wood and this plan you can create this eerie looking stocks for a scary Halloween display. 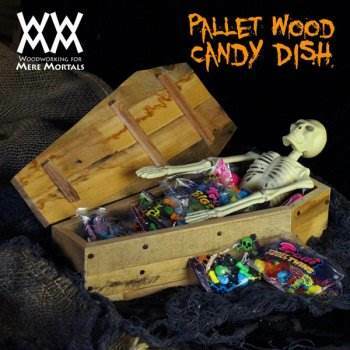 Serve candy to trick-or-treaters out a coffin candy dish that is easy and inexpensive to create with this Halloween project. 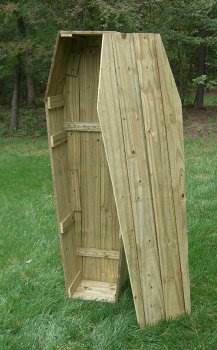 Here is a detailed tutorial in step by step format to help you make a life size wooden coffin for an awesome fright night. 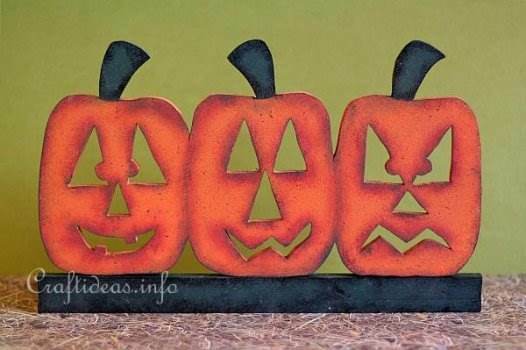 This Halloween craft pattern is easy to follow for building a wooden ghost that is holding the word "Boo"
Here is a plan for a trio of wooden pumpkins all with funny faces and ready for Halloween. 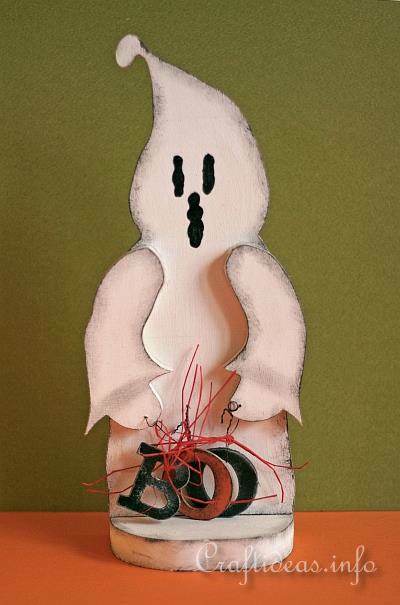 You can have these scary little ghosts built in a single afternoon using these instructions. Set a weekend aside for creating this friendly scarecrow standing in a pumpkin patch using this plan. 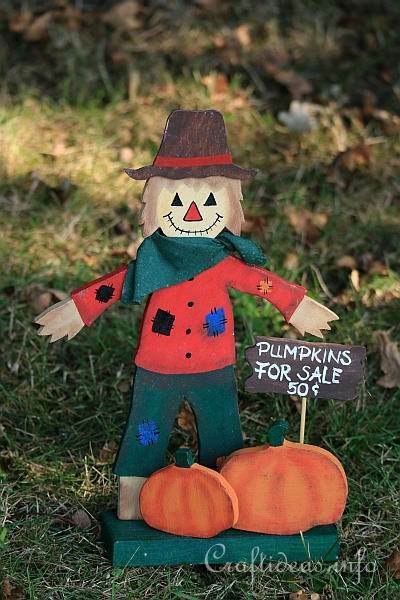 A cute little pumpkin wearing a pilgrim's hat can be made using this plan, great for Halloween and Thanksgiving. 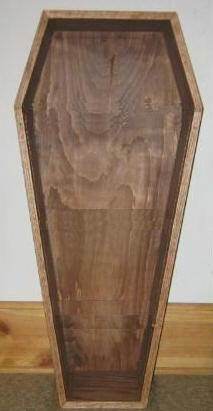 Build this full sized coffin for a fun and scary Halloween by following this free wood craft plan.